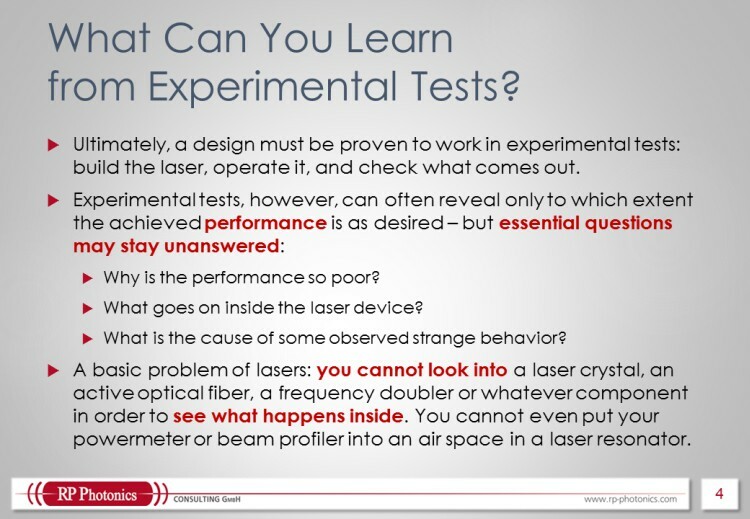 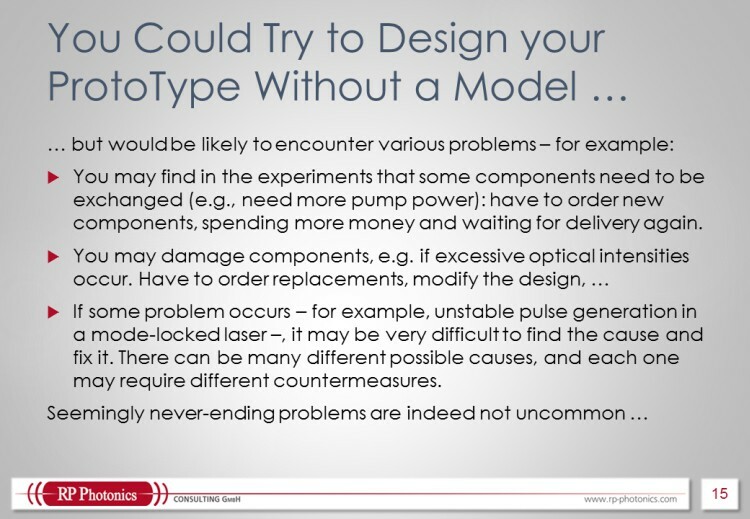 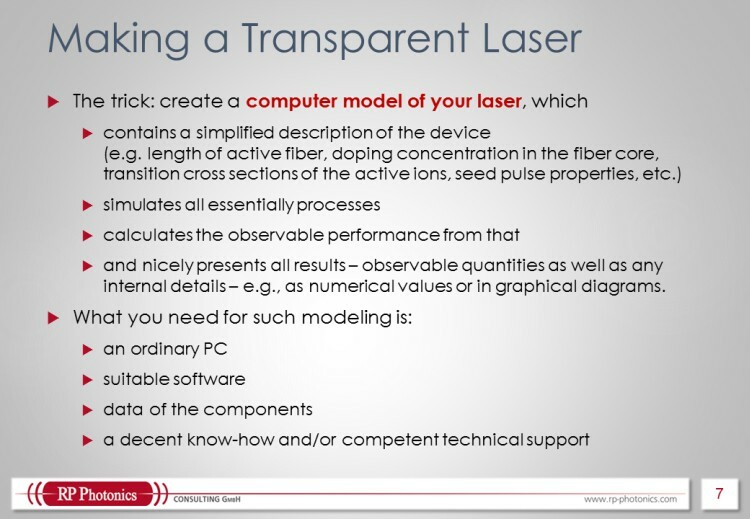 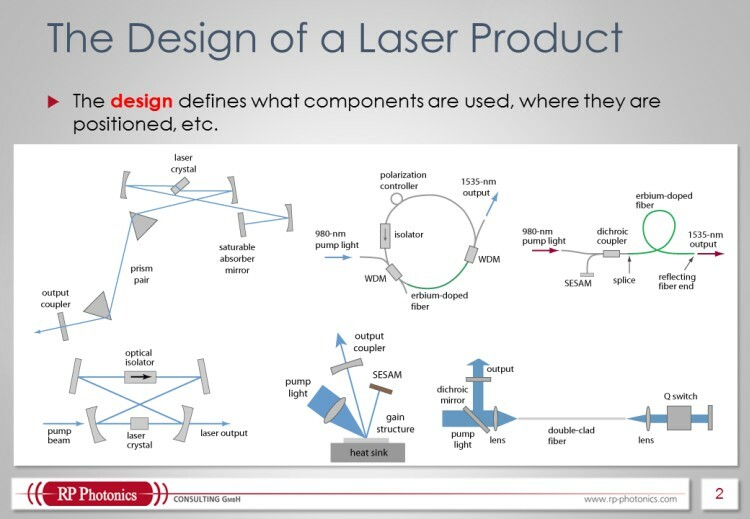 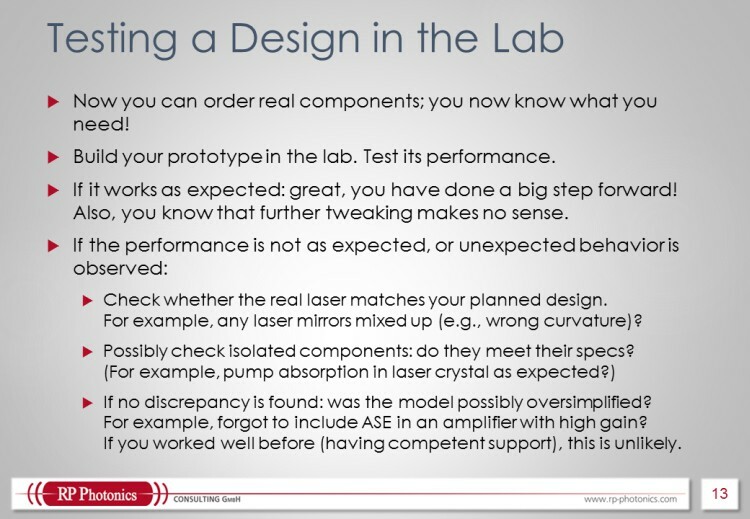 When developing a fiber laser (or in fact any other kind of laser), one of the main challenges is that you cannot simply look into the device in order to see what exactly is going on inside. 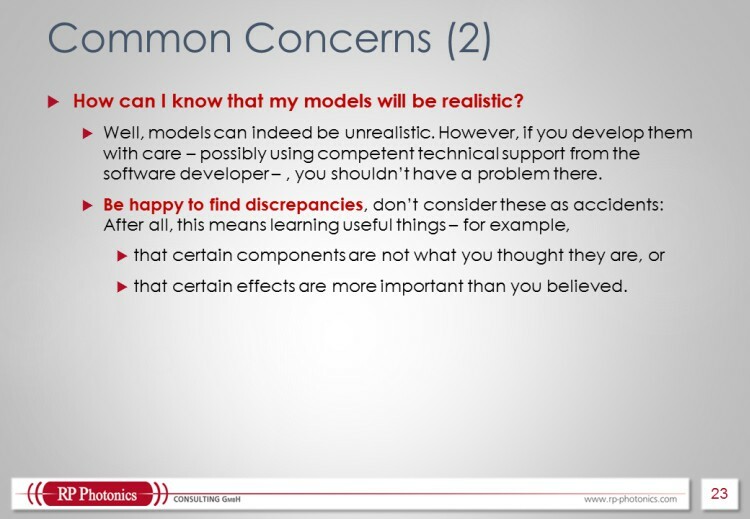 That makes it difficult, of course, to find out how exactly to fix certain problems and optimize the performance. 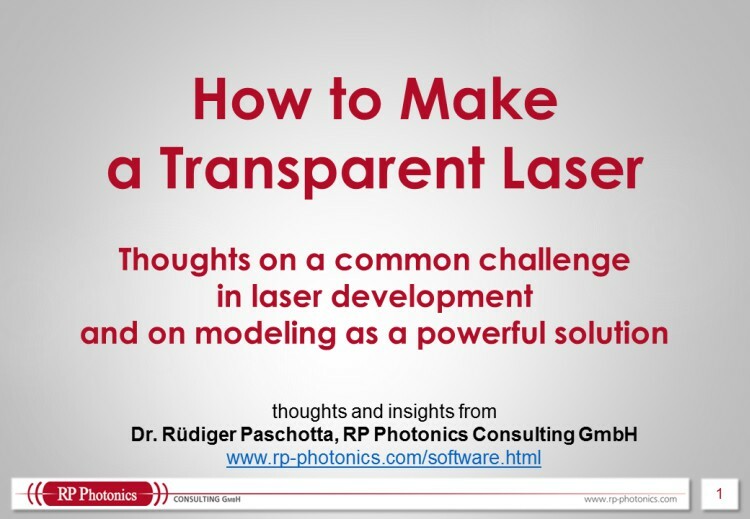 Computer models can greatly support laser development and laser research by effectively letting you realize a fully transparent laser. 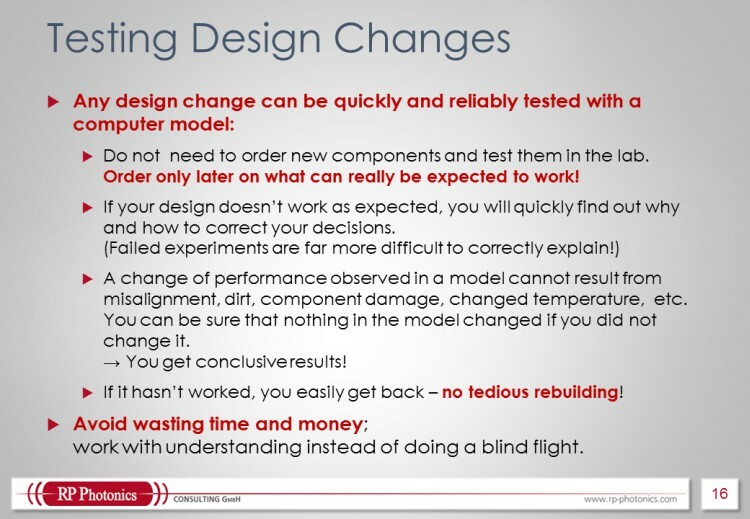 and thus also for optimizing their designs. 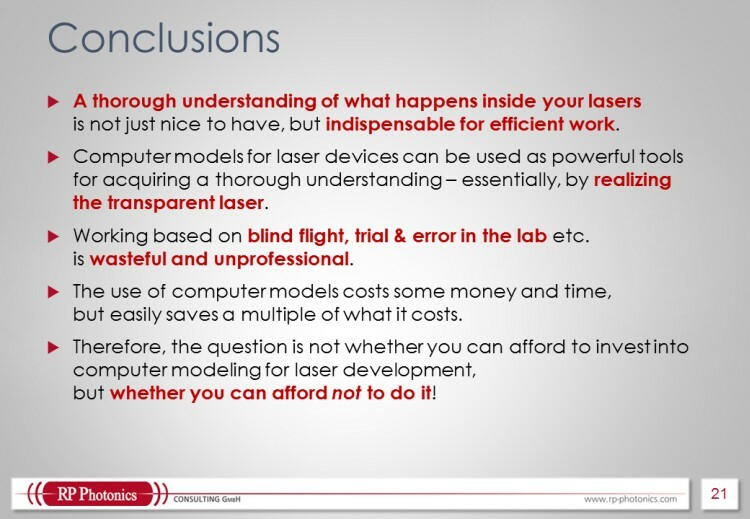 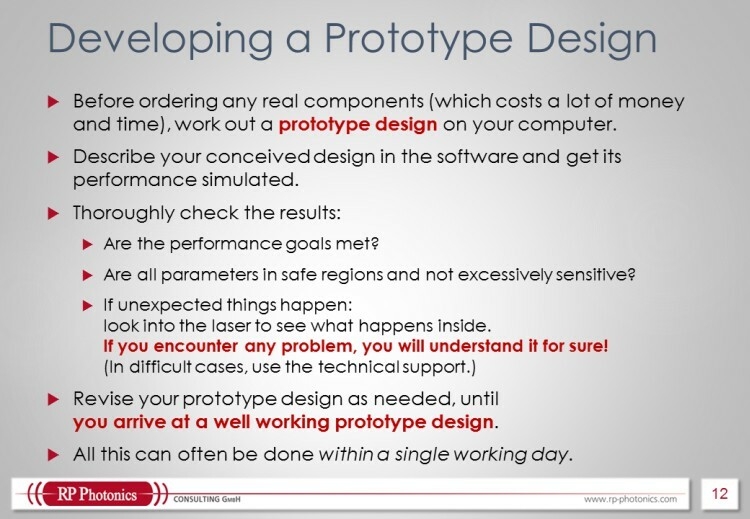 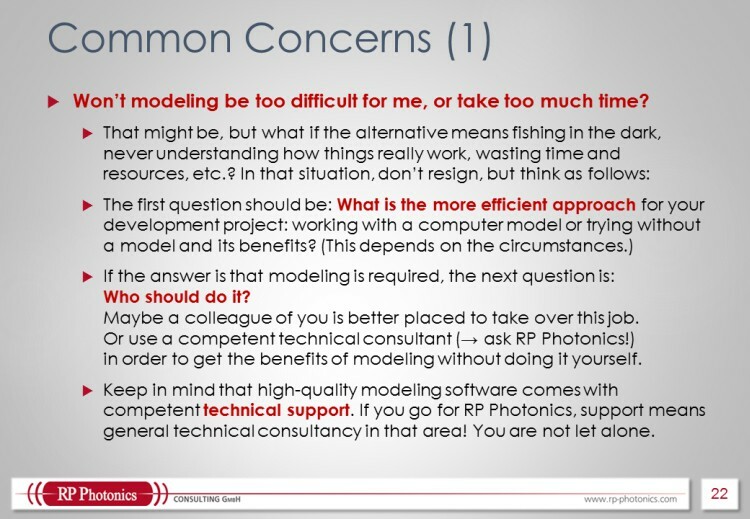 how you can in practice work with a laser model, greatly reducing the cost and time required for the development. 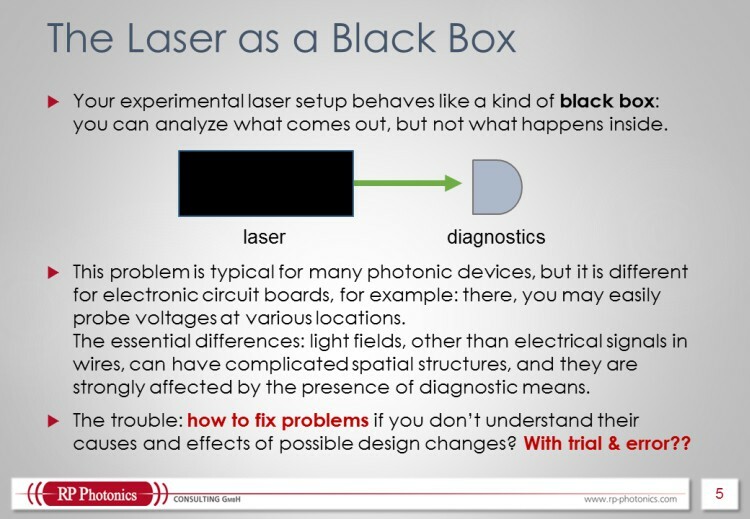 Enjoy the video and take home important insights on how to make your laser development more efficient! Note the convenient controls which appear when you put the mouse cursor on the video while it is playing; you cannot only stop and resume playing, adjust the volume and turn to full-screen playing, but also display a table of contents with which you can get back to certain parts of the video. 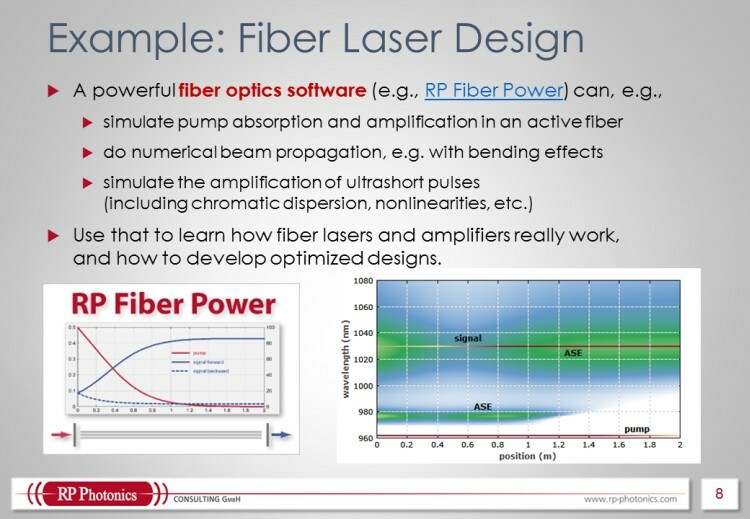 Finally, you can also download the presentation as a PDF document. 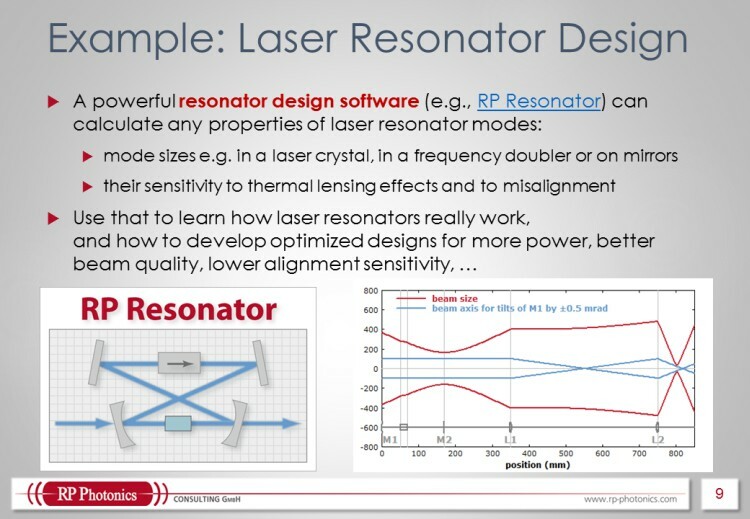 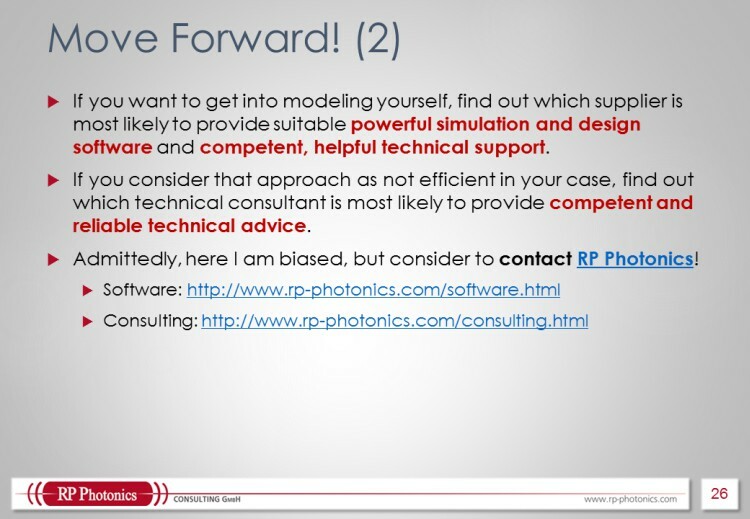 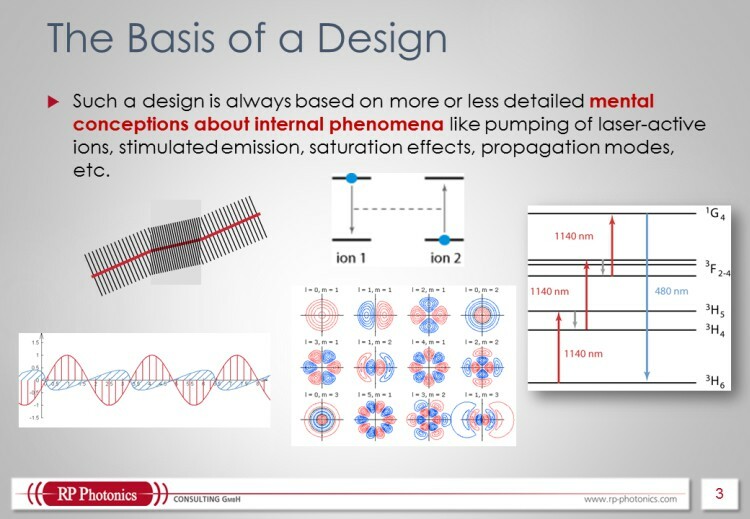 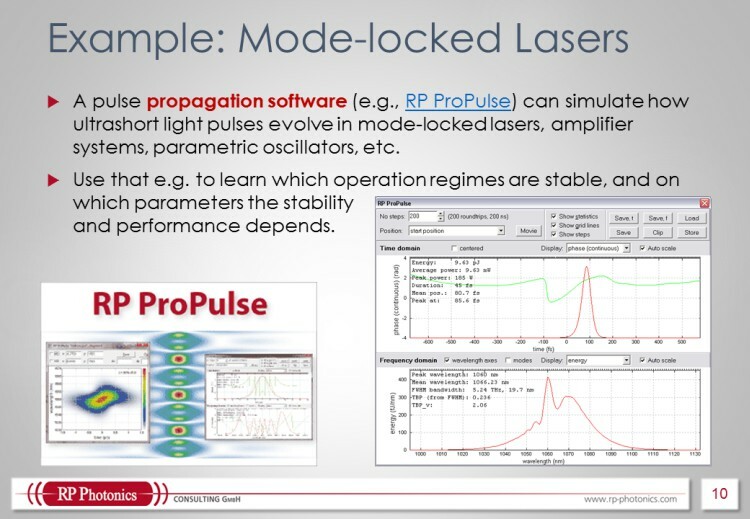 When you have digested the presentation, you may want to learn about our powerful simulation software – for example, RP Fiber Power in the area of passive and active fiber optics or RP Resonator for laser resonator design.